It’s holiday time, so you know what that means…..PRESENTS!!! Instead of getting tons of flashy, but not so stimulating toys, how about giving some gifts that are educational AND that your 3-year-old will actually want to play with! These 3 toys are can’t miss gifts for the holidays that your kids will love and learn from! You know a toy is a hit when it’s still being played with after 3 years (and 2 kids)! My kids first saw this toy watching an “unboxing” video on YouTube, so it blew their minds when they got it as a present and saw it in real life! The toy comes with 8 big crayons filled to the brim with small toys inside that match the crayon’s color. For example, in the big red crayon, you get a red fire truck, a red crab, a red apple, and lots more. Rainbow Sorting Crayons help kids learn their colors, practice sorting and build a stronger vocabulary! Bonus: There are so many fun pieces that my kids don’t even fight over them! Both of my kids play for hours with these crayon toys! A toy that your kids LOVE and teaches them their letters? Yes, please! Alphabots are like “educational transformers”. We pick out 4 robot letters and use them to spell out words. 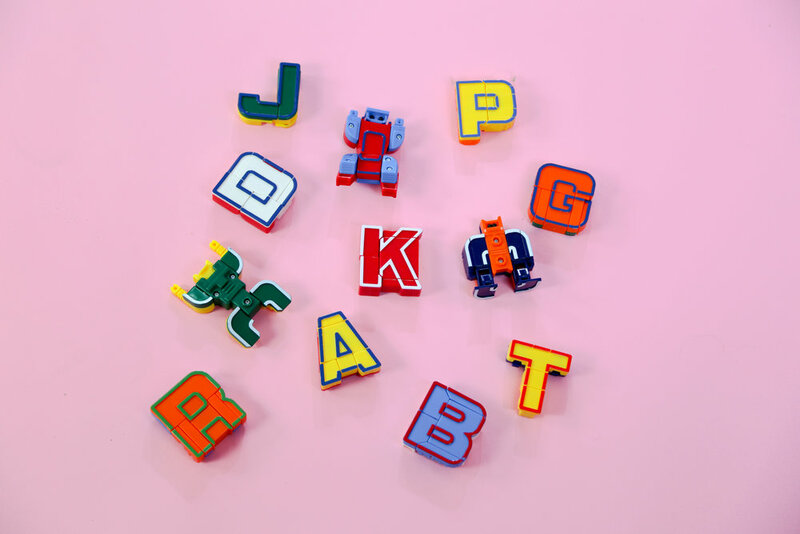 Spell out your child’s name — my son, Jake, loves seeing his name in robots! Uno is one of our favorite games to play as a family, but it can be tricky for younger kids to follow along. Uno Moo solves that problem! You match the pieces by color or animal, put the animals in the barn, and when you’re down to 1, shout Uno Mooooo!!!! 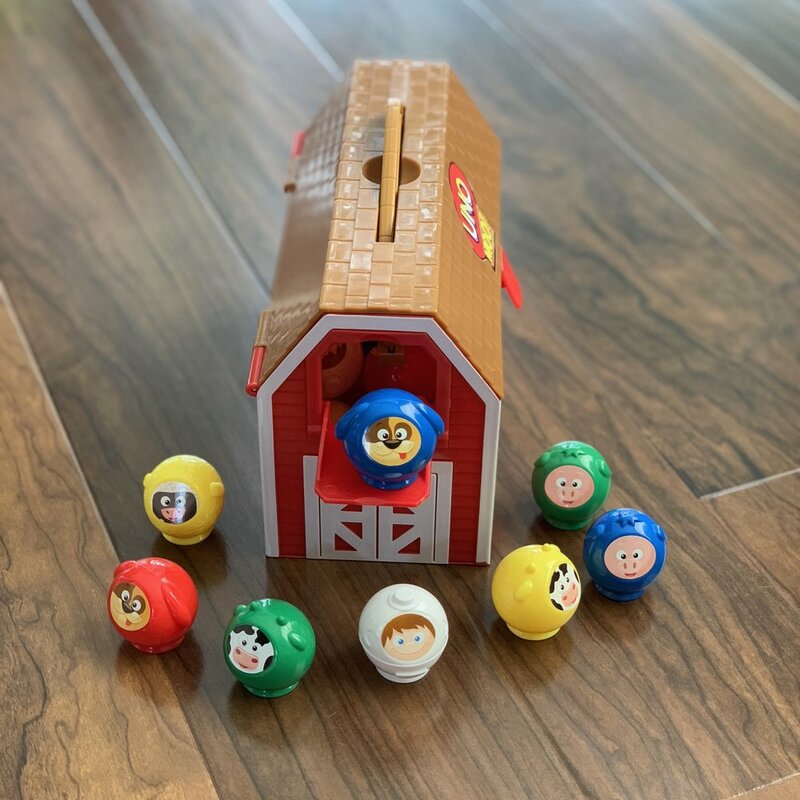 Uno Moo is a great game for your 3-year-old to practice taking turns, learn their colors and animals, and play with the whole family! You’ll feel great knowing your kids are enjoying a toy that is educational and promotes creative play. P.S. If you purchase through our Amazon links, we get a small %, to help keep our site ad free (at no extra charge to you)!